Meet Finley, our dog harness guide super-model. Little Finley is the cutest, most adorable part of your life, right? What wouldn’t we do to protect, spoil, and love that little ball of amazingness that made your life just so amazing? Putting all the cuteness aside, let’s now talk about taking care of our little pets. As much as we love pampering them and letting them run across freely, it is important to make little Finley wear a harness, and believe us a harness is leaps and bounds better than a collar! Why do You Need a Harness? Are There Different Types of Harnesses? 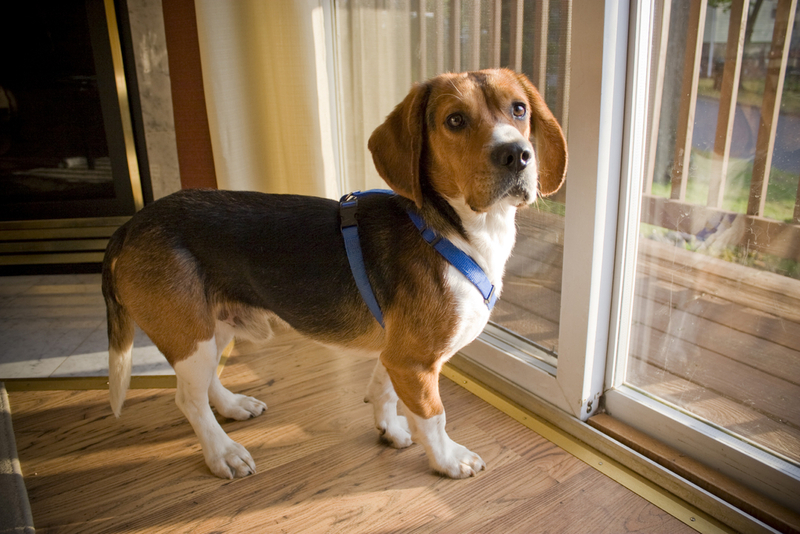 A harness is safer, less harsh option than a collar, especially for dogs with certain conditions such as megaesophagus. Dogs that have neck injuries will also suffer if you make them wear a regular collar. Also, all dogs pull on the leash when they get too excited, and that can cause them to jerk their neck and cause serious problems. How many times, during walks, have we pulled the leash because Finley was running in the other direction or enthusiastically sniffing a terrified passerby? We definitely don’t intend to, but such acts cause pain to our priceless doggy buddies. Thus, a harness is a comfortable option not just for dogs but also for us. Also, with their tiny necks, collars can really irritate small dogs. Harnesses don’t do that. Of course! There are quite a few types of harnesses to pick from, and it is very important that you choose the right one. Back-clip harnesses: These are the most common harnesses for dogs mainly because they are comfortable and easy to put on. They are highly preferable for dogs with delicate necks, aka small dogs. Front-clip harnesses: These harnesses are for dogs that pull on their leashes constantly. They have a leash attachment on the front and allow better control. No-pull harnesses: These are just like front-clip harnesses and serve the same purpose. However, they may also have an extension that tightens around the leg. The attachment ring is on the dog’s chest generally. Dog mobility harnesses: If you have a senior dog with leg, spine, or mobility problems, the dog mobility harness will help. Remember that this does not facilitate walking. It will help you pick little Finley up without causing him pain. There are also other types of harnesses that serve the purpose of providing comfort to dogs during extreme weather conditions. Pugs, bulldogs, and other small dogs fall prey to the heat during summer. A cooling vest-harness is the perfect choice for them. Similarly, when it is too cold, Finley may need some warmth. Some harnesses facilitate that as well. Before you can put on a harness, step one is to buy the right harness for Finley. There are sizes from XS to XL usually, but that doesn’t mean you just pick XS because Finley is a small dog. Sizes vary based on the breed of the dog as well. So, the best thing to do would be to take measurements of Finley and then compare them to the sizes. By doing this, you will buy what fits him well. Tight harnesses are super uncomfortable while loose ones negate their purpose entirely! 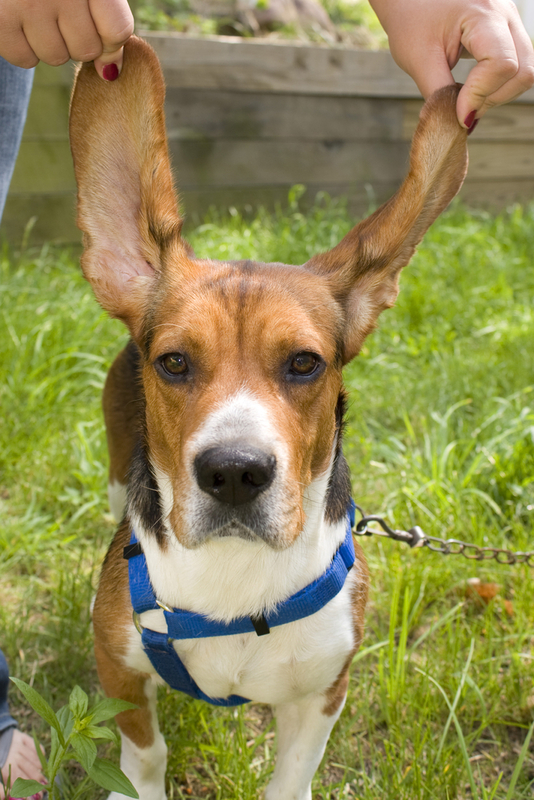 Dogs can slip out of a loose harness and be gone in an instant. 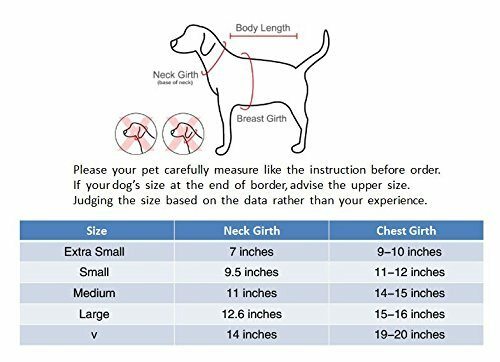 To choose the size for your dog, measure your dog's chest just behind his front legs. Compare this size to that of the manufacturer to determine what size to buy. You should also be able to get about two fingers under the harness. It will be too tight if you can't slip your two fingers under and too loose if more than two fingers will fit. For an overhead harness, you'll need to measure his head size as well. Now that you have a good harness making him wear it correctly is the next step. Harnesses are slightly more complicated than collars. You can’t just clasp it on and forget about it. 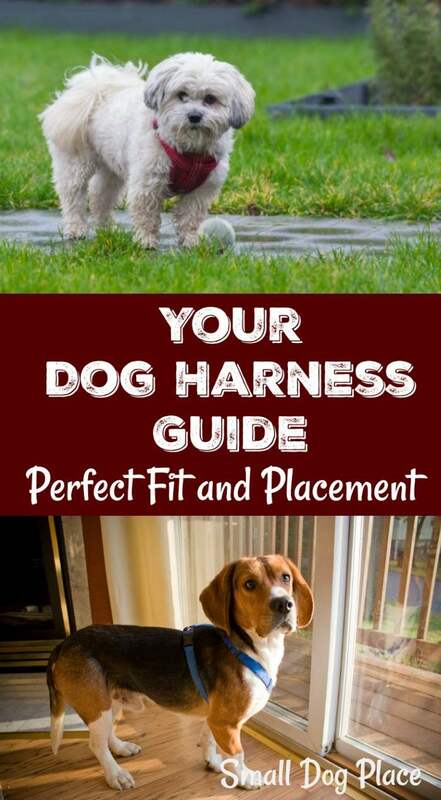 Depending on the type of harness you have bought, calmly make your dog slip his right paw in the right hole. Do the same with the left paw, and then clasp it on the chest or on top. If it feels tight, do not force it! Loosen it – all harnesses have the option to loosen and tighten as per convenience. Voila! You are done! If it an overhead harness, slip your dog’s head in. He may squirm as you do this, which is why you must be sure to stay calm and keep him calm. If he gets worried, he will hide under the bed, and we all know it is impossible to get them out of there! Reward him with a treat once it is over. After all, he is a very, very, very good boy! While the basic process is quite easy and can get over in three steps, there are things you must remember so that the three steps don’t feel like thirty! Most harnesses are marked on the left and right. Follow the same. If not, you may decide for yourself. Lay the harness down on the floor and see if you think it is fine. Check the clasp, loose threads or ends, etc. Now, encourage your dog to walk towards it. This will make the slipping in process very easy. Make completely sure that your dog is comfortable around the neck and the chest. Loosen the buckle a little if it is tight, all the while whispering sweet nothings to Finley so that he doesn’t freak out. To test if it is secure and comfortable, slip your fingers between your dog and the harness. You shouldn’t struggle to push your fingers in, and they shouldn’t slide in too easily either. Check if everything is fine and give Finley some time to adjust to his new harness. Take him for a short walk around the house. He may be uncomfortable in the beginning, but he will get used to it. If he continues being snippy, he really doesn’t like it, and something is wrong. Do all the tests again and try once more. Is this a little too much, don’t worry. You have to go through it just once. After that, it will become easier for you because you won’t have to keep adjusting it all the time unless he loses/gains weight or grows too much. Besides ensuring that the process is smooth, you should remember not to force your dog if he is not up for it. Lure him with treats if you have to but forcing him would make him very aggressive and negative towards the prospect of wearing a harness. Don’t want that now, do we? The Dog Harness Guide by Niki. She is fond of pets so in her free time she spends quality time with her loving pets. Her passion is to do lot of research on pet animals so that she can provide good life to her dog. Visit her at Best Leather Dog Collars.